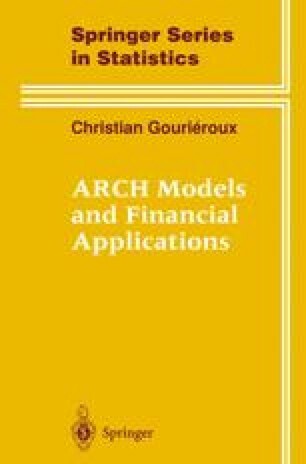 The usual estimation and test procedures may be applied without difficulties to ARCH models. We begin by recalling the basic idea and general properties of the pseudo maximum likelihood method [hereafter referred to as PML]. In the particular case of ARCH models, the asymptotic precisions of the estimators have a closed form representation. We then compare the PML estimators to some two step least squares estimators and show that the latter ones, although intuitive and easy to implement, are usually much less precise. Finally, we discuss the construction of forecast intervals and the tests of the homoscedasticity hypothesis.